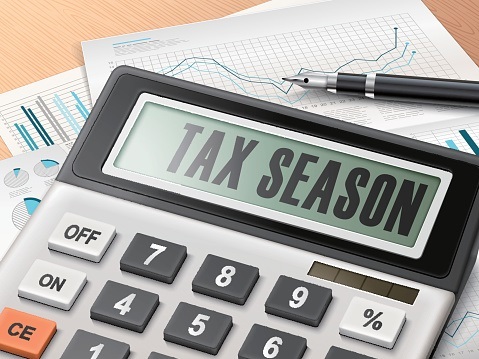 CPAs preparing for tax season have a unique challenge this year: keeping up with ever-changing developments relating to potential wide-ranging tax reform, peppered with frequent reports that it may be retroactive. Those of us who remember the “Big Six“ as referring to the largest CPA firms of the 1990s have to think twice in reading current news reports referring to the “Big Six” players influencing tax reform. As noted in the Joint Statement on Tax Reform issued in July, the Big Six include House Speaker Paul Ryan (R-WI), Senate Majority Leader Mitch McConnell (R-KY), Treasury Secretary Steven Mnuchin, National Economic Council Director Gary Cohn, Senate Finance Committee Chairman Orrin Hatch (R-UT), and House Ways and Means Committee Chairman Kevin Brady (R-TX). There is substantial political pressure to move on tax reform, which is key to one of the six major policy areas identified by President Donald Trump: to bring back jobs and growth. How should tax preparers prepare? In this ever-changing environment, with significant but uncertain tax reform legislation looming large, what’s a tax preparer to do? “By far, the most significant difficulty in preparing for this upcoming tax season is uncertainty,” says Walter Nunnallee, JD., LL.M., CPA. “So many unanswered questions: Will major federal tax legislation be enacted in 2017? If so, will there be a retroactive reduction in tax rates? Will the estate tax be repealed? Will the taxes and penalties under the Affordable Care Act be modified or repealed? “Hopefully, we will have answers to these critically important questions by the end of this fall,” says Nunnallee, a former professor of tax law at North Carolina Central University School of Law and a nationally known expert for making tax law fun. An instructor for the Don Farmer Tax Workshops, he also has significant experience in practice with KPMG and with the law firms of Poyner & Spruill and Manning, Fulton and Skinner in Raleigh, N.C. No matter what happens with tax reform, he is following the action closely and stands ready to prepare tax preparers this year. Learn more from Nunnallee by attending one or more of the three Don Farmer tax workshops he is leading this fall, brought to you by the MACPA. Each full-day session offers 8 hours of CPE and is available in-person at Martin’s West in Baltimore or via simulcast. Details and registration links for the three workshops can be found below. This course is designed to help participants prepare for tax season and review and update individual tax planning ideas. Topics to be covered include a detailed discussion of all significant 2017 legislation impacting the taxation of individuals, a review of both legislative and non-legislative provisions first effective in 2017, new developments that may warrant amended returns, and related planning opportunities. The course includes a 600-plus page reference manual, with each chapter containing basic rules, selected items of interest, 2017 developments, planning ideas, listings of related IRS forms and publications, and segments devoted entirely to 2017 tax legislation. Register for the Individual Income Tax Workshop here. The course includes a 600-plus page reference manual, with each chapter containing basic rules, selected items of interest, 2017 developments, planning ideas, listings of related IRS forms and publications, and segments devoted entirely to 2017 legislation. Register for the Corporate Income Tax Workshop here. This session will review the major developments in federal income taxation for individuals, corporations, and other businesses that have the greatest impact on participants, clients and companies. The seminar is designed to update participants concerning 2017 tax developments emphasizing practical solutions to problems and tax planning opportunities. This course includes a 200-plus page reference manual. Register for the Federal Tax Update Workshop here.